Home / Latest / Let My People Vote! 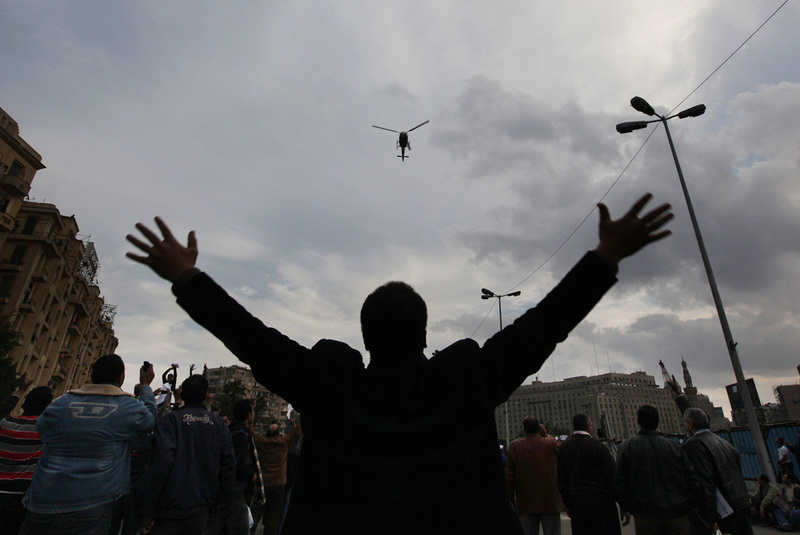 Egypt may lack a president, but it is not bereft of direction. Meeting two primary demands of pro-democracy protestors, Egyptian military leaders have dissolved the parliament, suspended the constitution and set a schedule for drafting a new one ahead of September elections. As the Washington Post details, this is one of the first steps towards civilian rule following the resignation of authoritarian leader Hosni Mubarak. The ruling council has communicated that these changes will remain in effect for six months until presidential and parliamentary elections can occur. In the meantime a committee is being formed to amend the constitution, and provide a vehicle for popular referendum to approve these changes. What is remarkable about these changes is their genesis within the citizens of Egypt. As noted by columnist and author Thomas L. Friedman, one of the mantras of the protestors sums it up: “The people made the regime step down.” This revolution occurred without the explicit endorsement of major world powers, the United States included. Rather support was not offered until after the conclusion of the protests, marked by the cessation of the Mubarak regime. Friedman notes that if – “and this is a big if” – the transition to democracy can successfully occur, it will resonate throughout the Middle East. This is not a model of government imported from the West – like the distinctly American institutions established in Iraq and Afghanistan – but one “conceived, gestated, and born in Tahrir Square.” Contingent on the success of the constitutional committee, it is one that will be shaped by the will of the people. This is a democracy that can be emulated throughout the Arab world, one that has refused the banner of the West while also rebuking the call of Islamists. When Iran issued a declaration compelling the protesters to label their movement an “Islamic revolution” it was the Muslim Brotherhood itself who resisted, noting that their focus is pan-Egyptian – which includes Christians and Muslims. Although finding its origin in popular revolution the success of the nascent democracy should not rest on the people alone, but is the responsibility of the wider international community. It is in the best interest of the Egyptian people and foreign parties alike that this transition occurs. Several countries – including Israel – have issued statements of support for the pro-democracy movement. According to Haaretz, Israeli President Shimon Peres expressed hope for Egypt; speaking at the resignation of IDF Chief of Staff Gabi Ashkenazi, Peres offered his support to the budding democracy saying, “We bless the Egyptian people in anticipation that its desires for freedom and hope be met.” This comes only a week after Peres had offered an impassioned defense of Mubarak, on the grounds that his regime had been characterized by stability between Israel and Egypt. Although the transition to democracy is tenuous, the potential of improved relations between the two nations is tangible; yet it is important to note that the foundation for this relationship will be built now, necessitating immediate Israeli and Jewish support of the new regime. This commitment to democracy will be tested further as the Egyptian revolution resonates across the Arab world. Already protests have begun to occur in Bahrain, Iran, Tunisia and the neighboring Palestinian Territories. According to the New York Times, officials in the Palestinian Authority responded to the toppling of the Mubarak regime by announcing presidential and parliamentary elections by September. The following day, the cabinet was dissolved until it could be appointed by democratic process. The Palestinian people have not participated in an election since 2006, when Hamas won a majority in the parliament. Following civil unrest in June 2007, Hamas took control of the Gaza Strip while the Fatah-dominated Palestinian Liberation Organization asserted authority over the West Bank. Currently, Hamas has rejected the call for a national election. This is an important moment for Israel, and the larger Jewish community. Rather than withholding our support – as we did with Egypt until the revolution succeeded – it would behoove us to stand with the P.L.O. on the side of freedom. Letting the people speak may lead to surprising results, including the emergence of a true democracy – one that emulates the Egyptian revolution, refusing Western models while also shedding the burden of the Islamist ethos. Thanks for this Steven – I find it really difficult to hack my way through all the news and find the relevant pieces of information. This is a good summary of what is going on in Egypt and how it impacts Israel.